3. What Type of Information Do We Collect and Use? 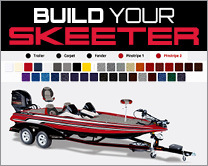 When you visit the Skeeter Website, we may collect passive information about your visit. Passive information is any form of aggregate data, navigational data, tracking data, click-stream data, or historical data, which does not on its own personally identify you. Passive Information includes information collected through cookies and web beacons. When you complete a survey, subscribe to one of our newsletters, or submit other data through the Skeeter Website, we may also obtain and collect personally identifiable information. Personally identifiable information is information collected online that personally identifies you, such as by name, email address, or mailing address. Skeeter provides you with the ability to "opt-out" of certain uses of such personally identifiable information. 5. How Do We Use Personally Identifiable Information? to prevent harm to the property or rights of Skeeter or its customers. If you have not "opted-out" of our use and disclosure of your personally identifiable information, Skeeter may also use such information for its own marketing and survey purposes, and Skeeter may appoint third party agents in connection with such marketing and survey efforts, subject to a confidentiality agreement concerning the information. Skeeter will not, however, disclose any personally identifiable information for use in connection with a third party's marketing efforts. Skeeter may share aggregate statistical information with business partners, sponsors or other third parties, but none of them receive personally identifiable information. For example, we may tell a third party that X number of visitors visited a certain area on a website, or that Y number of men and Z number of women requested a membership to our newsletter, but we would not disclose anything that uniquely identifies those individuals. Skeeter does not send unsolicited bulk emails to anyone who has requested that we do not contact them. We send newsletters only to those who have taken affirmative steps to subscribe. 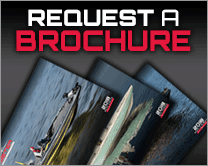 If you have inadvertently received one of our newsletters, or if you simply wish to stop receiving them, please follow the "Unsubscribe" instructions contained in each newsletter, visit this page to modify your information or unsubscribe, or send a request to be unsubscribed to marketing@skeeterboats.com. An Internet Protocol ("IP") address is a number assigned to your computer whenever you access the Internet. An Internet Service Provider ("ISP") typically assigns a random dynamic IP address at the time of your dial-up. For local area network ("LAN"), DSL, or cable modem users, a static IP address may be permanently assigned to a particular computer. Skeeter may record the IP addresses of visitors to its Website. While an IP address may reveal your ISP or geographic area, we cannot determine your identity solely based upon your IP address. Other websites you visit have IP addresses, and we may collect the IP addresses of those websites and their pages, but these IP addresses are never associated with Internet users. The Website may contain web beacons, which are electronic images (sometimes called "single-pixel gifs") that allow us to count page views, or to access cookies. We may also include web beacons in HTML-formatted newsletters containing graphics that we may send to opt-in subscribers, to count the number of newsletters that have been opened and read. Our web beacons do not collect, gather, monitor, or share any personal information about our website visitors. They are used only to compile our anonymous, aggregate statistics about website usage. The Skeeter Website may in the future include chat rooms, forums, message boards, and/or news groups. If so, Skeeter as a passive conduit will not be liable for any of the transmitted information. Any information that is disclosed in these areas becomes public information. You should exercise caution before disclosing your personal information via these public venues, which you do at your own risk. If you do so, you may receive unsolicited emails or "spam." Skeeter cannot safeguard the privacy of personally identifiable information that is disclosed and can be viewed or accessed online in this manner. Some pages of the Skeeter Website use security measures to protect the loss, misuse and alteration of information that is transmitted through the Website. These pages use Secure Socket Layer ("SSL") connections with 128-bit encryption for certain transactions and confidential data. When you use a secure browser, all information you submit comes to us over the Internet in an encrypted form, with a digital certificate issued by a third-party certification authority such as VeriSign®. To view this certificate, click on the image of the closed lock or the solid key on the bottom bar of your browser window. We also maintain our servers in locked facilities with secure access. Unfortunately, no data transmission over the Internet or any wireless network can be guaranteed to be 100% secure. As a result, while we strive to protect your personally identifiable information, we cannot ensure or warrant the security of any information you transmit, and you do so at your own risk. Once we receive your transmission, we make our best effort to ensure its security on our systems. 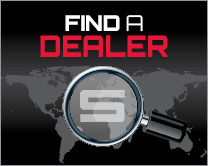 You can report network abuse and any risk of security violations to us by emailing marketing@skeeterboats.com. The Skeeter Website complies with the Children's Online Privacy Protection Act of 1998 (COPPA). COPPA and its accompanying FTC regulation protects the privacy of children using the Internet. Skeeter does not knowingly collect contact or personally identifiable information from children under 13. The Skeeter Website is not intended to solicit information of any kind from children under 13, and is designed to block our knowing acceptance of any such information, wherever age related information is requested. It is possible that by fraud or deception we may receive information pertaining to children under 13. If we are notified of this, as soon as we verify the information, we will immediately obtain parental consent or otherwise delete the information from our servers. 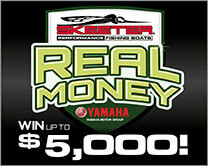 If you want to notify us of our receipt of information by children under 13, please do so by emailing us at marketing@Skeeterboats.com.